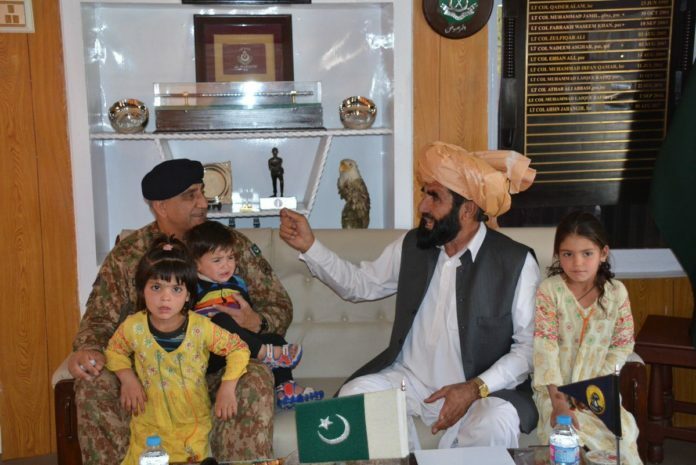 WANA: Chief of Army Staff (COAS) General Qamar Javed Bajwa Thursday inaugurated two mega projects and met father of Naqeebullah Mehsud and ensured him all out military support in getting justice in south waziristan. According to military media wing ISPR, Army Chief visited South Waziristan and inaugurated two uplift projects in Wana and makeen.The projects include Agriculture Park at Wana and A Market at Makeen. The projects have been executed by Pakistan Army engineers in collaboration with the government. Chief of Army Staff, met father of Naqeebullah Mehsud’s and condoled with the father of Naqeebullah and offered fatiha. 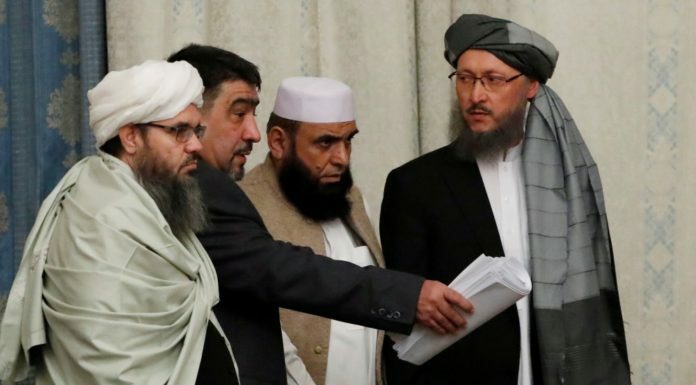 He assured Naqeebullah’s father that Army shall support all efforts to let him get the justice. Army Chief addressed to local elders and said, that having lived through very difficult times during terrorism/kinetic operations against terrorists, “we now are in the phase of stability and development.” He urged the tribesmen not to allow any one to jeopardize the peace attained at very heavy cost in blood and national exchequer. The COAS said that earliest mainstreaming of the FATA to the popular aspirations of the local tribes is essential for its development and enduring stability. The COAS acknowledged tribal brethren for their full support to army and their resolve to maintain and strengthen the gains, the ISPR said. The tribal elders thanked the Pakistan army for restoring peace/ development works and assured that tribes stand firmly with Pakistan army for journey towards enduring peace. The commander Peshawar Corps and IG FC KP South were also present during the visit.